Product prices and availability are accurate as of 2019-04-21 10:21:43 UTC and are subject to change. Any price and availability information displayed on http://www.amazon.com/ at the time of purchase will apply to the purchase of this product. ?Adding an ON/OFF switch,you can turn the soldering iron on or off.More safer and ease. ?The Soldering Iron Kit with Digital Multimeter.Large LCD to read data. 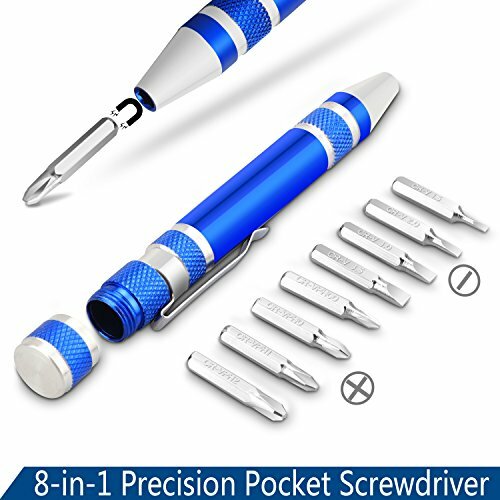 ?8-in-1 Precision Pocket Screwdriver,multiples tips for your solder,keep it inside the pocket. Temp Rang: 200? - 450 ? ?Soldering Iron with ON/OFF Switch? 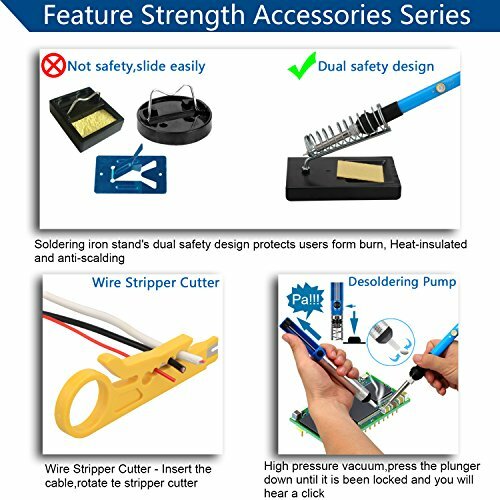 - The soldering iron kit with ON/OFF Switch,it is easy to save energy and ensure safe welding.You just need to turn it off if you don't want to use it.The insulating silica gel on the iron can effectively protect the iron from being ironed at high temperature or the iron tips dropping on the ground. ?Soldering Iron Upgrade for Multimeter? 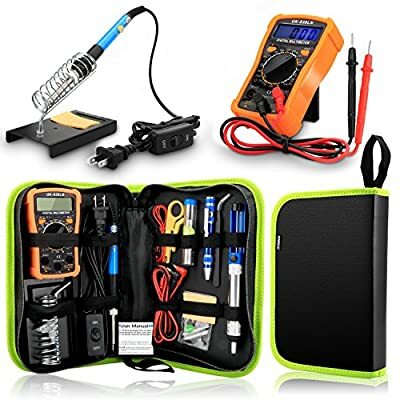 - Easy use Digital Multimeter for measuring DC&AC voltage,DC and AC current,resistance,diode and continuity test.Measuring Instrument with function of data hold and read on large LCD. ?8-In-1 Precision Pocket Screwdriver? - Only taking slightly larger space of a fountain pen.The base of what you holds is magnetic so that you won't lose your screws easily.It is the compact size and very handy combination screwdriver. ?Heat UP Quickly & Heat Dissipation Efficiency? 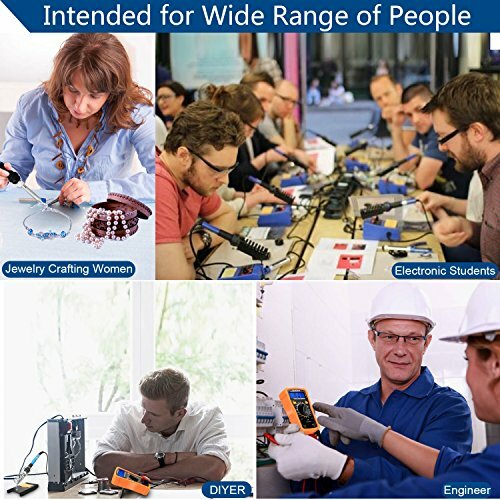 - The 60W soldering iron heats up very fast with inner-heated ceramic technology and steel-pipe design has better heat dissipation than others. ?Portable Storage and Carry? - PU Carry Bag is rather convenient to store small tools,which can avoid losing the soldering accessories.The color is younger and fashionable.The item is great for electric repair,home DIY and other soldering project.